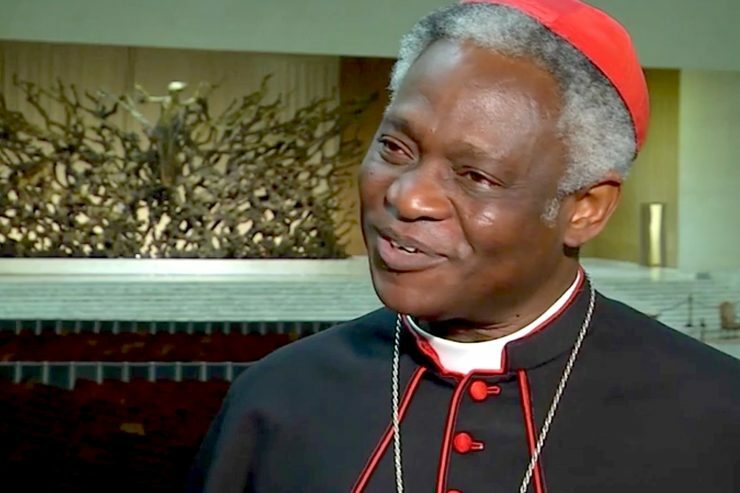 Cardinal Peter Turkson, Prefect of the Dicastery for Promoting Integral Human Development, on February 9, 2019, stressed the historic work of the Catholic Church to provide care for the sick and suffering. His remarks came at the Study Seminar for the 23rd World Day of the Sick 2019 in Calcutta, India. A delegation of the Dicastery, led by the Cardinal, is in Calcutta, to take part in the solemn celebrations of the World Day, traditionally held on February 11, memorial of Our Lady of Lourdes, and which takes place simultaneously in all dioceses worldwide. The universal Church, following the example of the Good Samaritan, stoops to the sick and suffering to bring a message of hope and salvation, according to the statement announcing the visit by the dicastery on February 6, 2019. The delegation acts as the bearer of the Pope’s Message for the Day, on the theme “You received without payment; give without payment” (Mt 10: 8). Ever since her beginnings, the Church has always borne witness to special care and concern for sick and suffering people through the work of her members and her institutions, upholding the inviolable human dignity of such people during these special moments of human existence as well. In the parable of the Good Samaritan, which has been a model and a guiding image for the care institutions of the Church, the most specific message relates not only to the duty to care for those who are wounded, in this case a ‘man who is half dead’, but also the obligation to provide that care which is specific to the commandment to love one’s neighbor. This care and concern has its fundamental motivation in the mandate ‘go and heal the sick’ which was entrusted by Christ to his Church. This specific mandate, on the basis of the teaching and the action of the Lord Jesus, confers on the Church the task of taking care of and healing people who are sick, suffering, poor and in need of support. Side by side with providing care we should place the proclaiming of the Kingdom because in the light of Christ human pain acquires new meanings. 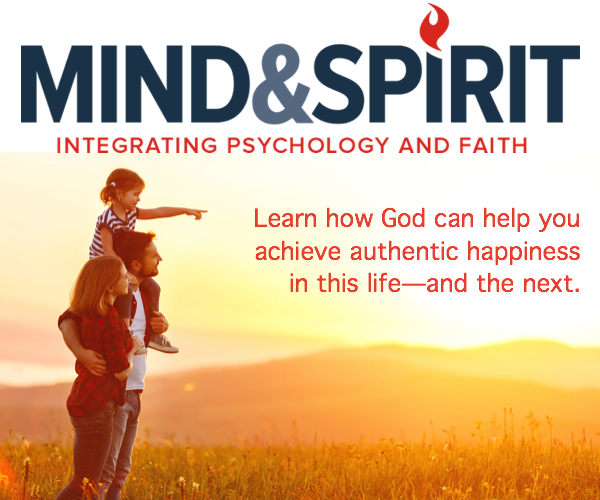 What pain represents in human life is not minimized, nor is its psychological and spiritual aspect denied, nor is the obligation to relieve pain and to prevent and counter the causes of every illness and all suffering contradicted, but it is affirmed that in Christ pain and suffering are a reality which in their final analysis open up to another form of life. While they walk in history, Christians do not ignore evil and pain but they do know that in it God – through the incarnation of His Son – placed a seed of eternity and salvation. The parable of the ‘Good Samaritan’ in the Gospel of Luke (10:25-37), which has already been quoted, offers a summary of the teachings and the action of Christ about what taking care of sick and suffering people as a Church means. For this reason, it is no surprise that some Fathers of the Church emphasized how the first great ‘Good Samaritan’ is Christ himself. He was the first, as the Son of God who took on our humanity (as they said in their language), to get off his ‘mount’ and draw near to man wounded by sin; he cared for him and took him to the ‘inn’ (the Church) where he left as a gift what was needed for his complete salvation (the Word of God, the sacraments of faith, and the nearness of pastors and the community). The attitude of the Samaritan was described as an attitude of compassion (‘seeing him he had compassion for him’) and practical accompaniment: ‘he drew near to him’, ‘he bandaged his wounds and poured oil and wine on them’, ‘he put him on his mule’, ‘he took him to an inn’, ‘he took care of him’. Faced with the merciful behavior of Christ, the Church has always been called upon and asks herself still today how in present-day situations the merciful action of Christ towards the sick and the suffering can be made present in a more faithful way. Inspired by the gospel teaching (Mt 25, 31-46), traditional Church teaching has always thought about the face of Christ – which was wounded, stained with blood and disfigured – present in the poor, and Pope Francis reiterates this thinking about the face of Christ and identifies him in the wounded and disfigured face of suffering humanity. The thought of the Pope as regards the sick starts, therefore, from Christ, following in this way the vision and the teaching of the Fathers of the Church, based on the message of Matthew 25 on the last judgment. There is another strong image that Pope Francis has offered to express this silent presence of Christ in the suffering and in the sick – that of the flesh of Christ, present almost physically “in the poor, in those suffering, in children, also in the unwanted, in those with physical or mental disabilities and in the elderly.”  This is a real, almost Eucharistic, presence: just as Christ who offers himself on the cross is present in the consecrated bread and wine, so the wounded and suffering Christ is within the suffering flesh of the sick and the poor, in the wounds of the sick, wounds within wounds, flesh within flesh. For Pope Francis, these very wounds are the mediation between Jesus in heaven, who shows us his wounds, a sign of victory and of hope, and us here on earth, when we care for the same wounds in the person of a sick brother or sister. For health-care workers and for anybody who cares for a sick or suffering person, the question is immediately posed of the reason for human suffering. Pope Francis states that Jesus ‘did not remove illness and suffering from human experience but by taking them upon himself he transformed them and gave them new meaning. New meaning because they no longer have the last word which, instead, is new and abundant life; transformed them, because in union with Christ they need no longer be negative but positive’. As regards human suffering connected with illness, Pope Francis observes that ‘health is certainly an important value, but it does not determine the value of a person’; ‘health in and of itself is no guarantee of happiness’. ‘This may occur even in the presence of poor health’. There is no contradiction between ‘the fullness towards which every human life tends’ and ‘a condition of illness and suffering’. ‘The call to human fulfillment does not exclude suffering’. But here we find the problem of today’s culture. This is that ‘widespread mentality of the useful’ which Pope Francis calls, as has been observed, “the culture of waste” or the throwaway culture ‘that today enslaves the hearts and the intelligence of very many people’ and asks for the elimination of human beings, especially if they are physically or socially weaker. Today’s throw-away culture ‘tends to hide physical weakness, considering it only as a problem that requires resignation and pity or that at times casts people aside’. It is precisely because of this ‘throw-away culture’, states Pope Francis, that ‘concern for human life in its totality has become in recent years a real priority for the Church’s Magisterium, especially for the most defenseless; i.e., the disabled, the sick, the newborn, children, the elderly, those whose lives are most defenseless’. Things have a price and can be sold or done away with, but people have a dignity an inalienable dignity. Frail and suffering people have witness to bear, an apostolic role to play. It is about appreciating and valuing their presence, developing an inclusive pastoral care for them, in parishes and in Christian associations. This will also inspire in them a strong sense of belonging, with their place and role in the community. With their sufferings, bearing them with patience, with joy of the heart, the sick constitute, Pope Francis observes, a ‘precious treasure for the Church’. This is, says the Pope, a ‘charism of the suffering’, a charism that makes the person who suffers from hope and peace in his or her heart a ‘gift for the Church’. Health-care workers and all those who dedicate themselves to accompanying sick people in their trials are thus invited by Pope Francis to go beyond simple accompaniment, beyond the duty of solidarity, and really appreciate the presence and the witness of frail and suffering people, not only as recipients of the work of evangelization, but also as active subjects of this apostolic action itself. Faith, observes Pope Francis, ‘illumines life and society. If it possesses a creative light for each new moment of history, it is because it sets every event in relationship to the origin and destiny of all things in the Father’. This is a faith that also illumines suffering in order to give it meaning. But which also invokes answers of care, of nearness, of hope and of love. This is an accompaniment that must transmit the certainty that every person can experience God’s sharing in his or her pain. Not with a simple nearness but with an interior, loving and silent presence which shares in that painful situation. Of significance here is verse 8:17 of the Gospel of Matthew which, after speaking about Jesus who with his words casts out a demon and heals very many sick people, refers to a text of Isaiah (53:4): ‘Yet it was our infirmities that he bore, our sufferings that he endured’. This is done almost to highlight how in the compassionate action of Jesus one can see the sign of the participation of God Himself in the suffering of man. This participation of God in the suffering of man is pointed out to the Church by the emphases in the letters of St. Paul and in the Gospel of John on ‘being in Christ’ and ‘living in Christ’. This is also done with extraordinary force and clarity in the Gospel of Matthew (25:31-46) where Jesus assimilates himself to all sick people, suffering people, poor people, and all those in need who are cared for, telling those who have cared for them ‘whatever you did for one of these least brothers of mine, you did for me’ (25:40). This is a declaration made in the context of the ‘final judgment’, which constantly calls on us as a Church and as Christians, with regard to how to relate to, and take care of sick and suffering people. Pope Benedict XVI expressed himself with extreme clarity in his encyclical Spe Salvi when he observed: ‘The true measure of humanity is essentially determined in relationship to suffering and to the sufferer. This holds true both for the individual and for society. A society unable to accept its suffering members and incapable of helping to share their suffering and to bear it inwardly through “compassion” is a cruel and inhuman society’. To this statement, Pope Francis adds that ‘A society truly welcomes life when it recognizes that it is also precious in old age, in disability, in serious illness and even when it is fading’. A society truly welcomes life, Pope Francis continues in the same Message, when it teaches people to see in the sick and suffering, beyond a simple appeal to assistance, also ‘a gift for the entire community, a presence that summons them to solidarity and responsibility’. The Pope also observes: ‘this is a sign of true citizenship, human and Christian! Put the most disadvantaged people at the center of social and political attention’. In his teaching, Pope Francis also specifies the characteristics of practical accompaniment. The first condition that is necessary for service to the suffering person following Christ is to adopt a specific ‘lifestyle’ – that of generous devotion. ‘The proof of authentic faith in Christ’, declares Pope Francis, ‘is self-giving and the spreading of love for our neighbors, especially for those who do not merit it, for the suffering and for the marginalized’. Service to the suffering person then requires a second condition, that of leaving at the door and search for power because ‘true power is service. As he did so we must follow him on the pathway of service’. Such solidarity requires ‘sharing’ with the person who suffers, recognizing ‘his dignity’ and ‘his value’; it requires seeing ‘the beauty of human life’ in suffering people and understanding that this beauty ‘includes its frailty’. A fundamental quality for the person who dedicates himself or herself to service to the sick is knowing how to listen to them. The wounds of Jesus in the wounds of the sick need to be heard and to be recognized. Pope Francis then asks for a final quality in the person who accompanies a sick person – that of ‘joy’ of the heart. This is not a matter of artificially having a joyful attitude but, rather, of living the joy that comes from faith. ‘A joy that is felt’, comments Pope Francis. It is no use saying ‘be strong, be strong’ to a sick person when one’s own heart has not entered joy and does not spread joy around it. To have such joy, which is felt, to live such joy, there is no other pathway than that of faith. It is Christian faith that allows us to say to a sick person ‘be strong, be strong’ without this being felt to be artificial and contingent. ‘This is faith, this is the act of faith that Jesus asks for’. Now, we can ask ourselves what the objective of this Christian service is. To draw near to the suffering person with ‘tender love’, says Pope Francis, is to bring ‘hope and God’s smile to the contradictions of the world’. To bring the smile of God is ‘to do good by one’s suffering and to do good to those who suffer’. But this dedicating of oneself is not a one-way process: when one brings the smile of God to a sick person, when one dedicates oneself to him or her without seeking power, in a true spirit of solidarity and sharing, when one draws near to him or her with the tenderness of God, this service makes one ‘grow in humanity’ because ‘those who are in great need…are true resources of humanity’. Pope Francis also has words that directly concern the pastoral ministry of the Church towards the sick, specifically in offering the sacrament of the anointing of the sick. The Pope has referred to difficulties that this sacrament still encounters today, being marked historically by the common view that it is the last rite, and has stressed strongly that the visit of a priest to a sick person is not to frighten him but, on the contrary, to ‘give hope’. If in the sacrament of anointing it is Jesus himself who takes care of the suffering man and pours oil and wine on his wounds, then the pastoral workers, affirms Pope Francis, are the innkeeper to whom Christ entrusts ‘those who are afflicted in body and spirit, so that we might lavish all of his mercy and salvation upon them without measure’. This is not a miracle or a therapeutic effect, Pope Francis continues: the comfort that the patient receives from the anointing ‘comes from the fact that it is the Lord Jesus himself…who takes us by the hand, who caresses us as he did with the sick, and who reminds us that we already belong to him and that nothing — not even evil and death — can ever separate us from him’. Pope Francis goes further and spends some words for the sick people themselves. First, he assures them that even when they are living in a condition of loneliness they are not alone: God is with them. ‘God — in his merciful love for man and for the world — embraces even the most inhumane situations’. ‘In Him, every human pain, every anxiety, every suffering was taken on out of love, out of pure desire to be close to us, to be with us’. Secondly he observes that ‘the Church sees in the sick a special presence of the suffering Christ’. Pope Francis then adds that side by side with, indeed inside, human suffering, there is the suffering of Christ who bears its burden together with the sick person and reveals its meaning. There are, the Pope says, two reactions to suffering when it falls on the shoulders of a person and totally changes his or her life and projects. These reactions are: asking why and weeping. The first attitude is that of ‘why’, why this illness? Why am I in this situation? As regards this prayer of why, Pope Francis observes, ‘In these moments of great suffering, do not tire of asking: “why?” as children do… And thus you draw our Father’s eyes to your people; you draw the affection of our Father in Heaven upon you. Like a child asks: “Why? Why?”. In moments of pain, let this strength be prayer: the prayer of the “why?”, without asking for an explanation, asking only that our Father watch over us’. After the ‘why’ comes the moment of weeping. The truth, observes the Pope, is that there are many reasons for weeping in life; human life and Christian life are not always ‘a party’. For a sick person, a suffering person tempted by weeping and hopelessness, by self-closure, it is important to recognize that the life situation that he or she has to address is ‘a trial, indeed it is the moment of trial’, announced by the Lord, the moment of darkness in which it is difficult to see, or one really cannot see, joy. Jesus, to begin with, invites us to have courage, to overcome the trial with patience, but, the Pope goes on, courage on its own is not enough. There is a need for hope which comes from the paschal light. Courage and hope together: ‘hope, because in the plan of God’s love even the night of pain yields to the light of Easter, and courage, which enables us to confront every hardship in his company, in union with him’. There is also the need to know how to ‘have compassion’, starting with the affections of natural ties. And here Pope Francis observes how the first to provide help are relatives, families, who often reach the limits of their physical, psychological as well as spiritual strength, but still continue to give help and assistance, with prayers in silence as well, with gestures of love and being at the bedsides of their sick relatives. The Pope observes that ‘only from the effective connaturality born of love can we appreciate the theological life present in the piety of Christian peoples, especially among their poor’. He then refers to the steadfast faith of mothers ‘tending their sick children who, though perhaps barely familiar with the articles of the creed, cling to a rosary, or of all the hope poured into a candle lighted in a humble home with a prayer for help from Mary’. Those roles of a ‘Church going forth to all the outskirts’ and a ‘Church of open doors’, described on a number of occasions by the Pope, should be emphasized. Both are connected with the sick and the disabled who – because of their infirmities, often in chronic or degenerative forms, and because of the extreme precariousness of health-care systems in many countries of the world – constitute a special form and condition of being ‘outskirts’. And there is also the Church as a ‘field hospital’ which should be promoted in the field of health care and health. In the discourse of Job which contains the words ‘I was eyes to the blind, and feet to the lame’, we find highlighted the dimension of service to the needy by the righteous man who enjoys a certain authority and a place of prestige amongst the elders of the city. His moral stature is expressed in the service he gave to the poor who sought his help and in his care for orphans and widows (vv.12-13). Pope Francis adds: ‘how many Christians show, not by their words but by lives rooted in genuine faith, that they are “eyes to the blind” and “feet to the lame”! They are close to the sick in need of constant care and help in washing, dressing, and eating. This service, especially when it is protracted, can become tiring and burdensome. It is relatively easy to help someone for a few days but it is difficult to look after a person for months or even years, in some cases when he or she is no longer capable of expressing gratitude. And yet, what a great path of sanctification this is! In those difficult moments, we can rely in a special way on the closeness of the Lord, and we become a special means of support for the Church’s mission’. The Church, the Pope has declared, is aware that despite everything, good continues to be stronger than evil; that very many ‘Good Samaritans’ continue to work still today and take loving care of all suffering people; ‘Suffering reminds us that faith’s service to the common good is always one of hope — a hope which looks ever ahead in the knowledge that only from God, from the future which comes from the risen Jesus, can our society find solid and lasting foundations…The dynamic of faith, hope and charity (cf. 1 Th 1:3; 1 Cor 13:13) thus leads us to embrace the concerns of all men and women on our journey towards that city “whose architect and builder is God” (Heb 11:10), for “hope does not disappoint” (Rom 5:5)’. But what has been said means that the concern to provide assistance is a reality which, albeit in different ways together, must call upon and involve everyone as keepers ‘of their brothers and sisters’. For families and the action of the Church, in order to support the various situations of suffering, of poverty, the commitment of everyone is needed, and in particular of those who have positions of responsibility. Thus state and economic structures must also be finally created to restore the dignity of people in need and be able to effectively help the sick and the suffering. Pope Francis observes that ‘The need to resolve the structural causes of poverty cannot be delayed, not only for the pragmatic reason of its urgency for the good order of society, but because society needs to be cured of a sickness which is weakening and frustrating it, and which can only lead to new crises’. Accompaniment and concern for the sick also involve ethical and bioethical problems. Pope Francis states that there ‘is no doubt that, in our time, due to scientific and technical advancements, the possibilities for physical healing have significantly increased…In effect, medical and scientific achievements can contribute to improving human life, provided that they are not separated from the ethical root of these disciplines’. Dominant thought, at times proposes a ‘false compassion’ – that which believes that fostering abortion constitutes help for a woman, that to procure euthanasia is an act of dignity, that ‘producing’ a child seen as a right rather than welcoming him or her as a gift is a scientific advance, or that using human lives as laboratory animals to save, it is presumed, others, is such an advance as well. The compassion of the Gospel, instead, is that compassion that accompanies during moments of need, that is to say, the compassion of the Good Samaritan. Speaking to medical doctors, the Pope noted that ‘faithfulness to the Gospel of life and respect for life as a gift from God sometimes require brave choices that go against the current, which in particular circumstances may become points of conscientious objection. This faithfulness brings with it many social consequences. We are living in a time of experimentation with life. But it is harmful experimentation. Making children, rather than accepting them as a gift, as I said. Playing with life. Be careful, because this is a sin against the Creator: against God the Creator, who created things this way’. In conclusion, I wish to note that our being here today in Calcutta, for the Solemn celebration of the 27th World Day of the Sick, and also reflect upon the Healing Ministry, in particular, Pope Francis’ Theology of Accompaniment and the Call to Take Care of the Sick and Suffering is providential. We are in a place that is rightly associated with an icon of Charity of our times, Mother Theresa of Calcutta, who made God’s love for the poor and sick visible. We could not find a better example for emulation in this mission. Lk 10:9; Mt 10:7-8; Mk 6:12-13. Cf. Address to participants in the plenary session of the Pontifical Council for Health Care Workers, 24 March 2014. Meeting with the disabled and sick children of the Seraphic Institute, Assisi, 4 October 2013. Message for the XXII World Day of the Sick, 11 February 2014, n n.2. Message to those taking part in the general assembly of the Pontifical Academy for Life on the occasion of the twentieth anniversary of its institution, 19 February 2014. Address to those taking part in the meeting organized by the International Federation of Associations of Catholic Doctors, Rome, 20 September 2013, n.2. Address to the pilgrims of UNITALSI, Rome, 9 November 2013, n.2. Address to those taking part in the meeting organized by the International Federation of Associations of Catholic Doctors, Rome, 20 September 2013. Message for the XXII World Day of the Sick, 11 February 2014. Homily, Chapel of Domus Sancta Marta, 22 May 2013. Address to those taking part in the plenary assembly of the Pontifical Council for Health Care Workers, 24 March 2014. Homily, Chapel of Domus Sancta Marta, 30 May 2013. Message for the XXII World Day of the Sick, 11 February 2014, n.3. General Audience, 26 February 2014. To the Filipino community, St. Peter’s Basilica, 21 November 2013. Homily, Chapel of Santa Marta, 30 May 2014. Cf. Homily, Chapel of Santa Marta, 30 May 2014. Message for the XII World Day of the Sick, 11 February 2014. Message for the XXIII World Day of the Sick, 11 February 2015, 2. Message for the XXIII World Day of the Sick, 15 February 2015. Address to the Association of Italian Catholic Doctors on the occasion of the seventieth anniversary of its foundation. Rome, 15 November 2014.